Welcome to Lake Michigan Waterfront Real Estate - Find Vacation, Second Homes, Land, Condos, Cabins - Waterfront Living in West Michigan On the Shores of Lake Michigan. Carini and Associates, Realtors specializes in Lake Michigan and waterfront real estate from Arcadia, MI., Benton Harbor, Bridgman, Coloma, Douglas, Fennville, Glenn, Grand Haven, Holland, Kalamazoo River, Lake Macatawa, Lake Michigan, Ludington, Macatawa, Manistee, Mears, Montague, Muskegon, New Buffalo, Pentwater, Port Sheldon, Saugatuck, Sawyer, Silver Lake, South Haven, Spring Lake, St Joseph, Stevensville, Union Pier, Whitehall. 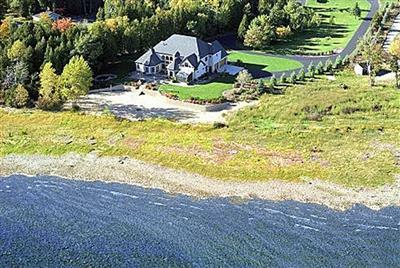 Lake Michigan executive real estate homes have maintained their value. Western Michigan has an excellent lifestyle and great attractions like Tulip Time. Holland, Saugatuck and Grand Haven feature a low cost of living and excellent schools. Located 2 -3 hours from both Chicago and Detroit most Lake Michigan homes are only a short drive from the cultural activities present in larger cities. We also specialize in upper-end Lake Michigan, lakefront, riverfront and upper-income waterfront property in West Michigan Lake Michigan executive waterfront homes and other West Michigan waterfront real estate including cottages, second homes, condos, vacant land, multi-family, commercial and other homes and upper-end properties around Lake Michigan. Also real estate for sale in Southwest Michigan and Western Michigan. We feature executive properties on the waterfront from Muskegon, Mich to Grand Haven and South Haven, Mich to Saugatuck, Mich, Lake Michigan, Lake Macatawa in Holland, Spring Lake in Grand Haven, the Grand River in West Michigan and the Kalamazoo River in Saugatuck. Not limited to Southwest Michigan, We also showcase upper-income homes for sale from Muskegon, "Harbor Country", St Joseph and New Buffalo, Michigan. We are your link to lakeshore living; your West Michigan source for waterfront homes, executive waterfront homes, upper-end lakefront properties and waterfront real estate for sale all along the Lake Michigan coastline. We feature the largest selection of homes. Ask us about waterfront property, beachfront homes, waterfront estates, cottages and cabins on Lake Michigan, lakefront second home, or the perfect get-away vacation home or vacant property.